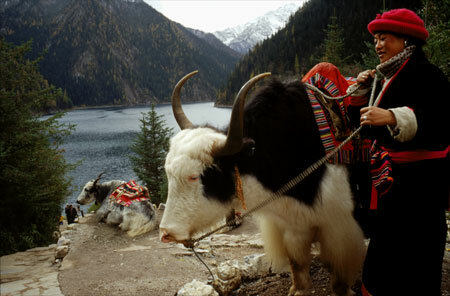 A Tibetan villager with her nicely colored black and white yak in JiuZhaiGou valley. She explained to me that she calls it her "panda yak". SiChuan province.